What is Billing System Integration? Billing system integration means we will integrate your own billing system into the chat, thus you can inquire and withdraw the money from your own billing system without paying the recurrent commission anymore! No more BCC, no more commission, no more any kind of 3rd party involvements! . All you need is just a payment system on your website. A payment processing page which can allow your users to do the purchase on your website will be more than enough. As long as you have that, we will take over the remaining and finish the task for you. No more affiliate fee or processing fee charged! You will get almost 100% of your credits money to your own pocket. No more redundant withdrawal procedures! 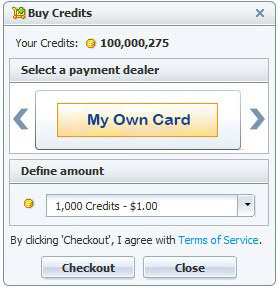 You will receive payment automatically to your own card. And no more waiting time to up to 3 months since it is your money and you can withdraw it any time you want! 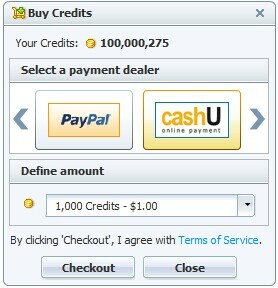 Except the embeded PayPal and Cashu payment gateway, you can add one more by applying the billing integration service. Fortunately it can be any kind of payment gateway as you can choose it. By customizing billing system you can choose either to keep BCC system or totally drop it. And if you are to build your own trademark this service will be of great help since it will remove all the related affiliate info from your chat credit service and everything left will be your own. The custom billing system will facilitate your management for your chat site by allowing you to choose a popular payment gateway, custom credits service, and withdraw it at anytime you like. Besides you can set specials to stimulate the customers to consume more credits in your chat. How Can I Apply This Integration Service? Since we will need to work out your billing system and configure it to be compatible with the existing chat credits database, so it is more a customization service than a mere integration. According to the working hours needed the cost is set to be $1999 one time fee. Thanks to the summer promotion, you can get this service with 50% off at only $999 now. Seize the chance to buy ! After you make the purchase, we will start the customization for you. Remember you will need a payment system available with your own credentials and a ready-made payment page on your site before we can get started! Chat with our sales to get more info!